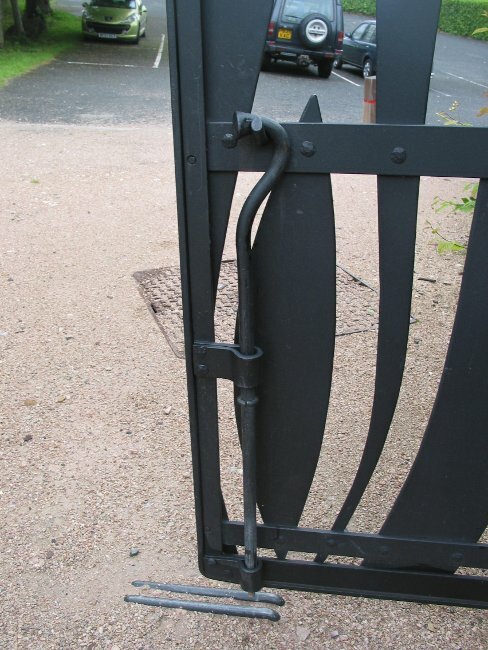 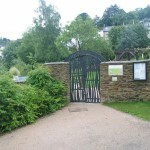 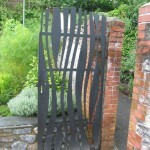 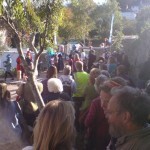 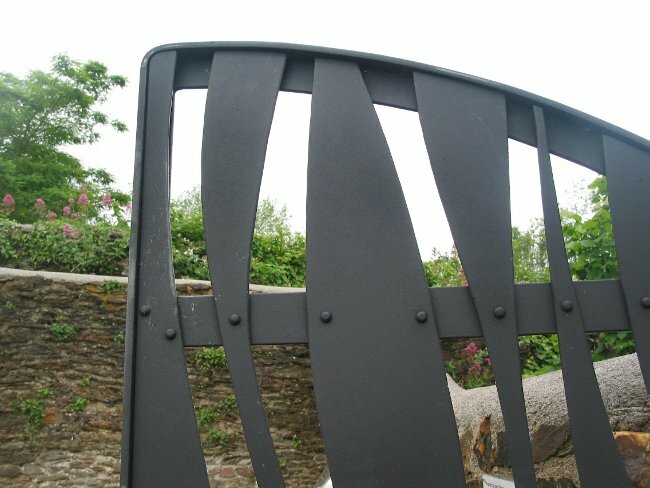 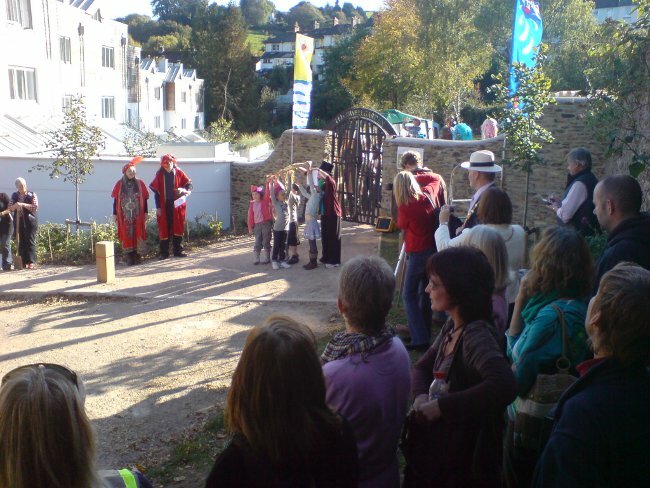 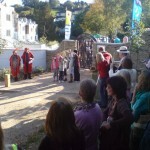 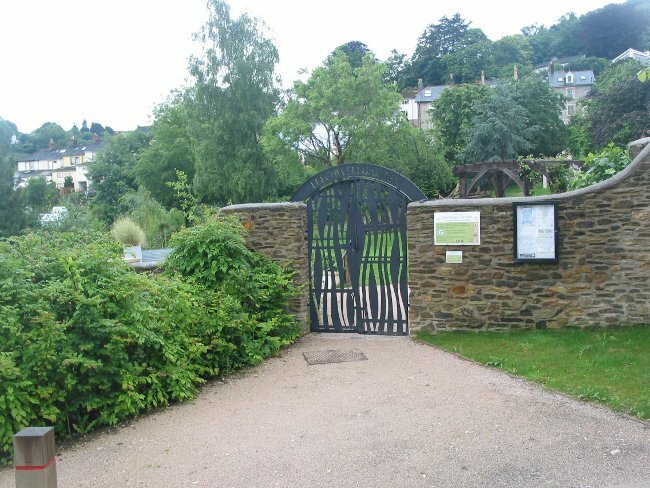 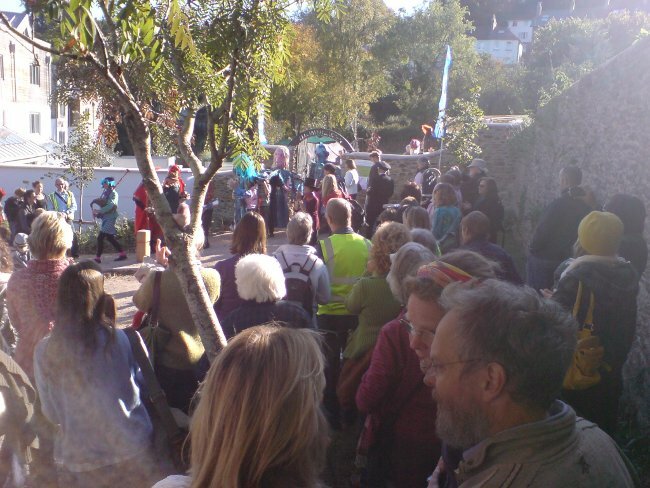 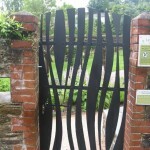 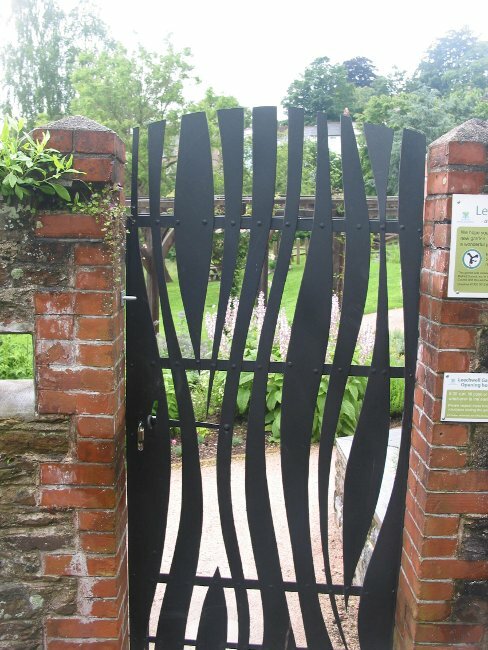 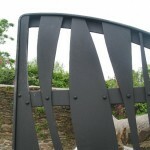 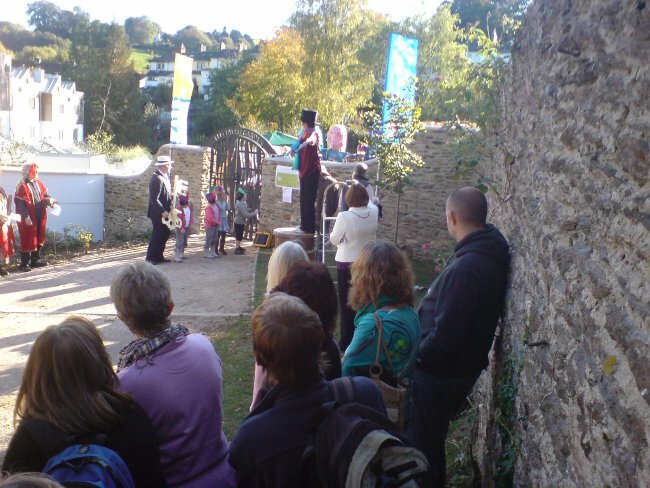 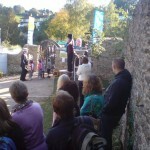 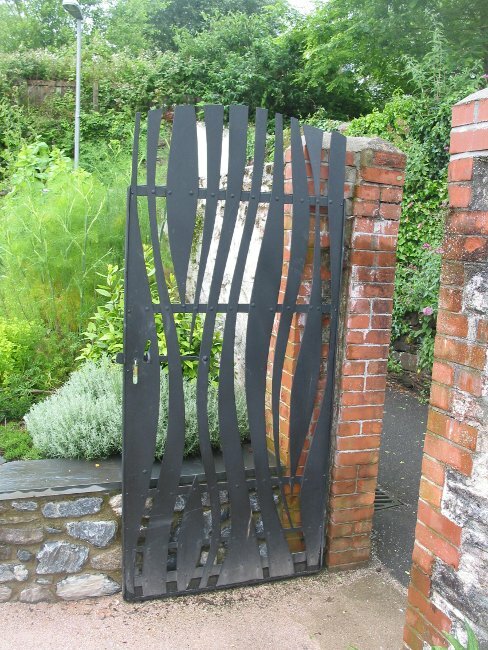 Pedestrian gates for a new public space in Totnes. 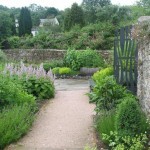 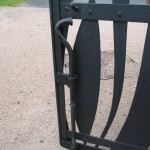 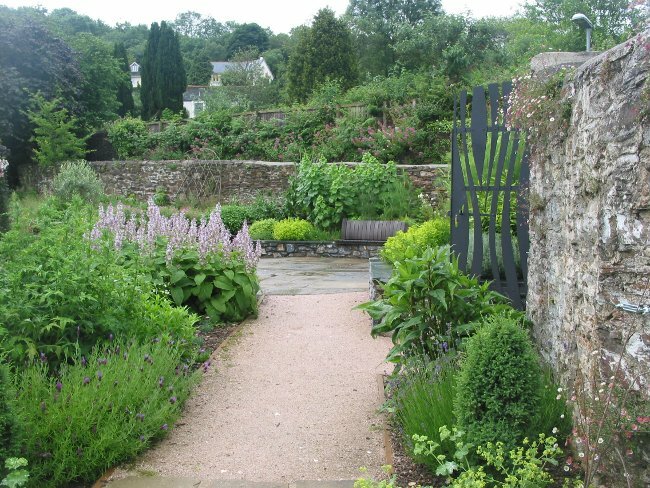 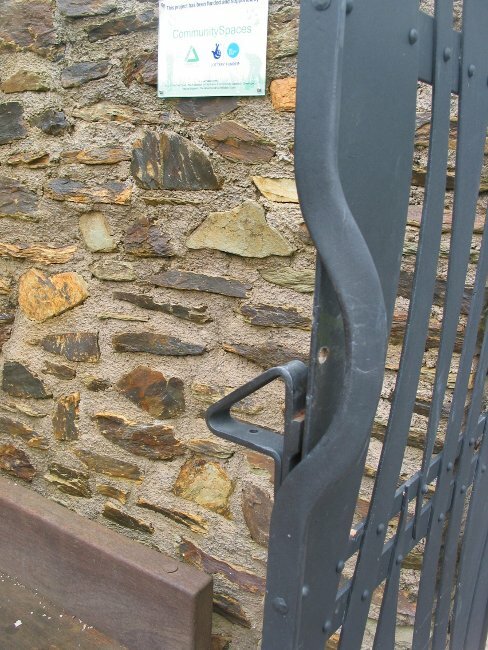 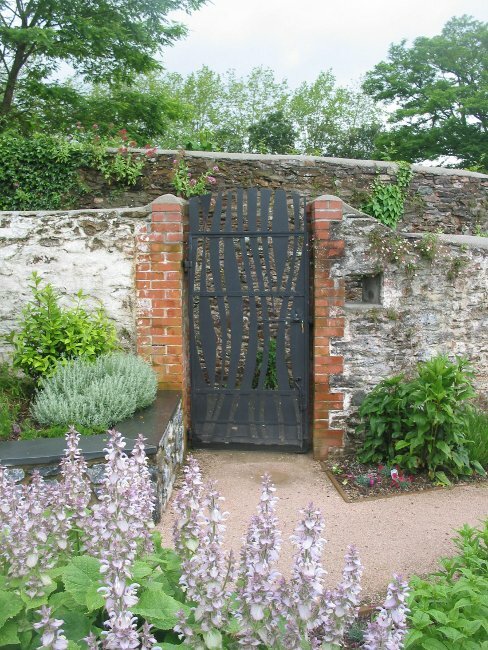 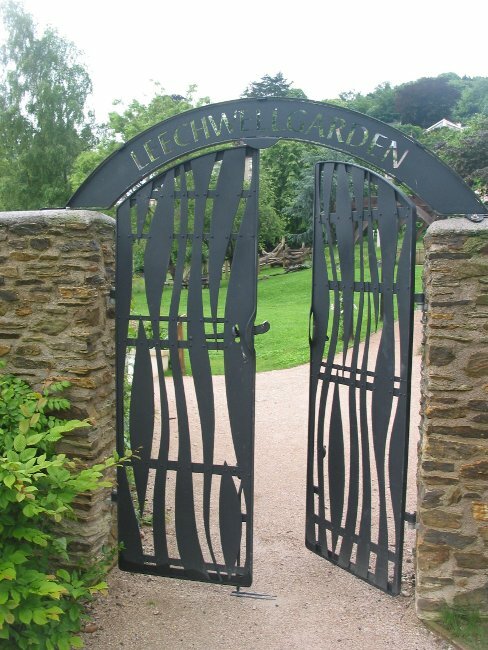 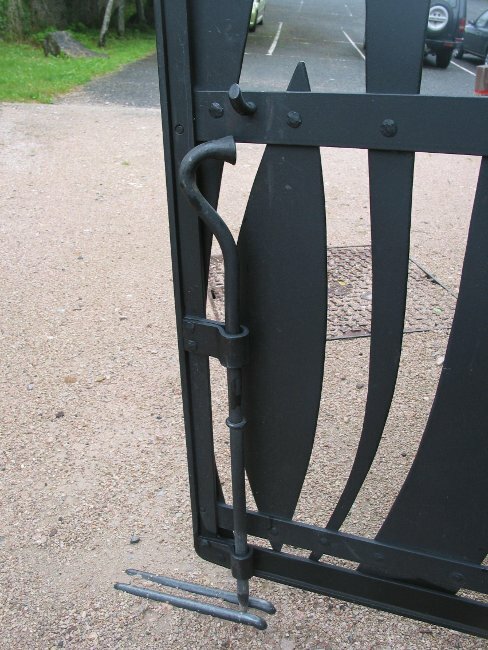 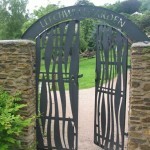 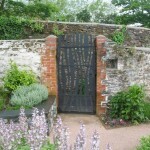 The design of the gates was to do with the healing waters after which the gardens were named. 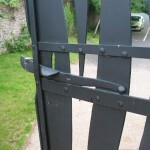 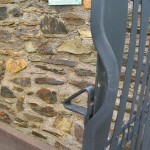 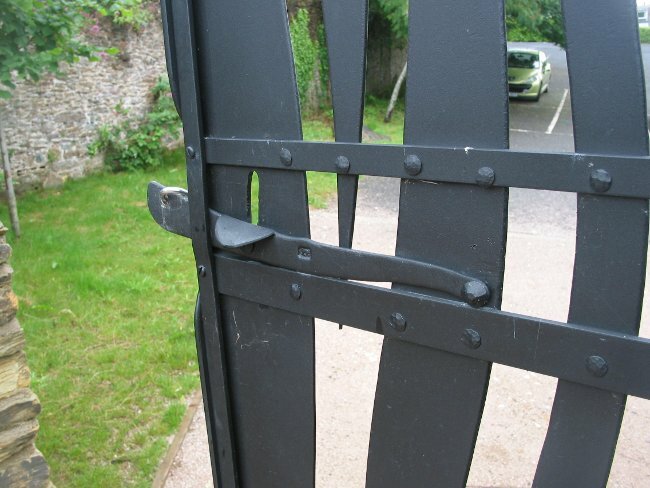 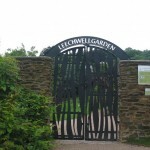 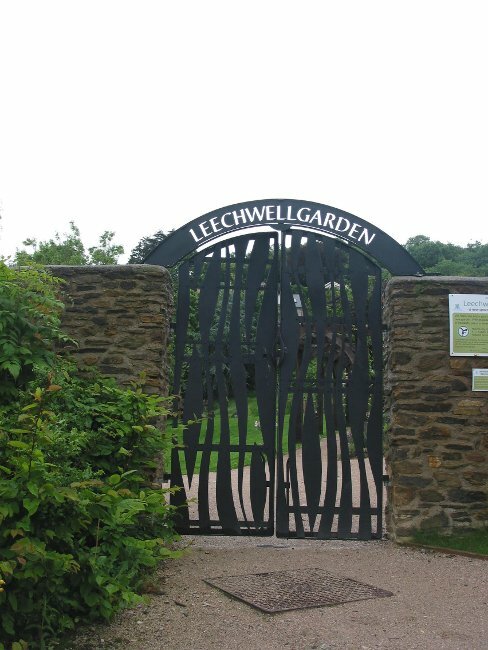 The main entrance is accessed via a set of double gates under a lettered arch. 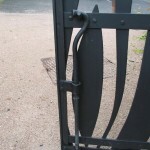 Various details; the bolts make reference to the leeches of the well .